Problem solving and conflict resolution for children should begin being taught early on. 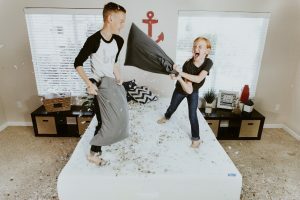 If you’re a parent of multiple children in your family this becomes apparent as it won’t take siblings long at all to become engaged in some type of ‘sharing’ violation with one another. Children of a family with other children almost immediately are engaged in a social type of activity albeit only with their brothers and sisters early on. Conflicts and resolving those conflicts soon become part of their day. At an early age children are in more of a self exploration and self discovery mode. From there and from a socialization progression you will see kids playing together but not as a coordinated group. In other words, the next progression is to see a group of children ‘geographically’ playing together but they all still have their own toys and objects. The next step of the socialization of play is around 2 to 3 years old where you’ll see kids begin activities that begin to require interaction and subsequently problem solving and conflict resolution. As parents and caregivers, you have the opportunity to actually teach conflict resolution and problem solving techniques and skills rather than just solving them. As a part of conflict resolution it’s important to get children to express themselves and their feelings and get past their initial emotional reaction. This will initially take some time and practice, and you should take the time to get back to, and discuss the conflict that occurred at a later time or date after the emotions have calmed sufficiently down. Discussing previous conflicts and how they could have reacted and handled them is a key in their emotional growth. 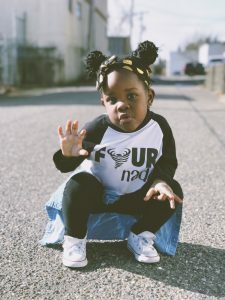 As all children do early on, before they have the ability to concisely express themselves, they learn that many times crying and even screaming resolves their conflict because as parents we try to assuage the behavior by getting them what they want or need. Understanding and teaching conflict resolution to your children is an integral part of their social development and growth. Without these tools, children will grow into adults resolving problems the only way the have ever known how to do – with emotional behavior, and sadly, many times with force. There is a tremendous amount of excellent information on these techniques and teaching them to children of all ages. Make them part of your day, and a part of your child’s life and they will grow in depth and confidence. Wedding season is almost upon us! 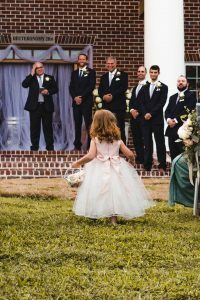 Many parents often face the dilemma of what to do with their children when it comes to wedding season, especially when kids aren’t invited to attend the ceremony. Adding to that concern is when families need travel for destination weddings with kiddos in-tow. But now wedding sitters gives parents a way for their little ones to be included in the big day without the worry of tantrums or distractions during the event. TLC Nannies and Sitters provides special wedding babysitters and in-room hotel sitters. TLC sitter’s make the experience both safe and fun for the kids. This service has become almost a norm for millennial weddings, but I can see why it’s so popular – no one wants a toddler screaming through the service! Weddings are such beautiful events, and we’re glad that people are finding ways through the site to make sure no one misses out. TLC recently provided five sitters at the History Museum in Forest Park. The bride was so thankful to get everything arranged ahead of time, and the kids enjoyed their own dinner and some fun games while the adults had their fun in another room. The parents were so happy to be able to relax and dance while they knew their kids were well cared for. However, some parents feel better booking their own one-on-one sitter in their hotel room so they can go to sleep at their normal time. This is especially important with babies. TLC sends hotel sitters to the hotel room, where they can ensure a quiet bedtime, and mom and dad can stay out as late as they like! Whatever your wedding child care needs, TLC has you covered. Give us a call today and learn more. TLC For Kids, Inc. has been St. Louis’ premier nanny and babysitting agency for over 30 years. TLC For Kids’ dedicated staff is ready to assist you in finding nannies, tutors, newborn care specialists, sitters and more. We serve St. Louis, Atlanta and Florida. Reach us at tlc@tlcforkids.com or 314-725-5660. Family travel is something most families do throughout their years together. Traveling on vacations is often an annual tradition families have. From the time your child is born, it is likely you will take him or her on trips to see family members, theme parks, and even just one day drives. While safety is often the first thing parents consider when traveling with their kids, keeping them happy and busy along the way also adds to the success of the trip. Safety is the most important factor with children traveling. Family travel should always been done with caution paid to safety above anything else. Here are some tips to keep everyone safe. • Insure everyone is using proper safety belts and car seats throughout the trip. It’s tempting to loosen the belt for long trips, but high speed accidents on highways are common during the summer months. • Be sure that the driver gets enough sleep and that parents are able to stay alert not only in the car but also on airplanes and buses. • Keep items out of the car that could be choking hazards for small children. Travel games often have small pieces and are meant for older children. The jarring of a car can easily cause these to slip down the child’s throat. • Be sure everyone knows where to meet if for any reason the group is splitting up. Cell phones are a good communication device and the responsible person’s within each group should have one. • Talk to your children ahead of time about the risks of strangers and who to talk to if they do get lost. For family travel to be fun, everyone has to remain safe. When it comes to being on the road or in a plane for an extensive amount of time, busy kids are happy ones. Parents can do a number of things to keep kids active and busy so they don’t become overwhelmed with the long trip. • Pack snacks. Kids are hungry every few hours and snacks are the best way to keep them quiet. Prepackaged items are sold in individual sizes, but you can also choose crackers, grapes and other small foods and place into small bags. Juice boxes and bags travel well. • Pack an activity bag. For younger children, these goody bags can be a surprise for once you are on the road. Load them up with small toys, coloring supplies, stickers, and other activities you know they will enjoy. Don’t let them go into the bag until they are on the road. • Pack things to do in backpacks. For older children, keeping them busy will help to cut down on your stress. Handheld games, tablets, a deck of cars and travel size games can work very well. Include a few comic books, a magazine or even a book they want to read. Many of today’s ultra fun activities for the car are in the form of technology. Tablets, phones, laptops, portable DVD players, in car systems and even full scale video games are sure ways to keep everyone busy. Make sure all are charged, and that you packed enough chargers for everyone. Family travel is often best when everyone on the trip is looking forward to something that interests them. When there are two completely different opinions, cater to both. 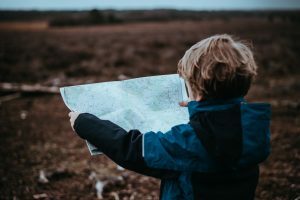 For example, if you are traveling to an area where there is a lot of camping and wilderness hiking, and one child does not care for this, find out if there’s a local show or museum nearby they may like to stop in during the trip. Traveling with kids is enjoyable when you plan ahead. Take the time to talk to your kids about the trip alerting them to the length of the drive. While traveling at night is not always an option, this is also a good way to cut down on the boredom factor. Many kids are happy enough with a few things to do and the conversation of the parents to keep them busy. Make this a trip that everyone enjoys by sharing stories, ideas and thoughts in an open forum. Everyone will feel welcome and happy before, during and after the trip. When you get there, if your travels take you to any of our locations, give us a call for a vacation nanny, date night sitter or hotel sitter. We bring the fun, while you enjoy your time together. Every parent wants to do well by their children but it’s important to remember the importance of making time for yourself. We live in a fast-paced, busy world but even the hardest working parent needs to take some time for themselves. It’s important for parents to spend time together as a couple, separate from the children and it’s equally important for each individual to have some time alone for themselves. There are many different ways you can squeeze in a little time for yourself in your normal daily routines as well. For example, do you carpool or wait for your children while they are in sports and other activities? You can spend this time in between traveling to sit in the car, listen to your favorite music, read a book or otherwise experience time alone. This can be a great rejuvenation from the busy activities of the day. If you want to stay a sane and happy parent, you deserve a break. You deserve some time with yourself where you don’t have to worry about the children or be distracted by events of the household. Here is some more information about the importance of making time for yourself each day. Why is it so important to take time for yourself? Many parents feel like they are being selfish when they take time for themselves but sometimes being a little selfish is a good thing. Every human on earth needs a little time for themselves and parents are no exception. Taking this time for yourself will keep you sane, keep you focused and keep you motivated for the tasks you must perform each day. Being a parent is hard work so don’t forget to give yourself a much-needed and earned break now and again. Have you ever experienced a great afternoon all to yourself just doing something you want to do? If so, then you know that great feeling you have afterwards when you feel rejuvenated and ready to take on many tasks and activities with ease. You can have this feeling on a regular basis when you remember to make time for yourself. When you make time for yourself, it allows you to grow as a person and as a parent. It also gives you time to relax, de-stress and be ready for the new day ahead. You will have more patience with your children and other people in your life and more energy to do the tasks at hand. 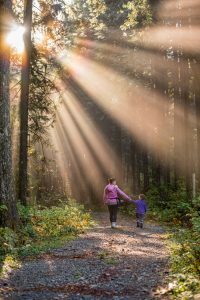 Some things, however, are easier said than done and the hard working parent may get to a point where they don’t even know how to take time for themselves anymore. These are just a few ideas. One of the first steps to making time for yourself is to sit down and make your own list of ways that you can take a little important quality time for yourself. It may be tempting to continue to push and plow through the many tasks you have each day but don’t forget the importance of making time for yourself. TLC can help you find and plan that time alone or together. Give us a call and book a sitter and start planning your next self-care day. Having Trouble Getting Your Kid To Sleep? Kids have a thing about going to sleep at night. It does not matter if it is a girl or a boy, they all have this thing: they hate going to sleep. Even babies will fight sleep like it was the devil. 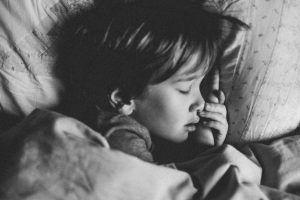 They cannot stand the thought of missing out on anything and they simply refuse to fall asleep and that is why you as the parent need to find out all of the top techniques that will help you to get your kids to sleep at night. Let us focus on babies. They need to be on a strict schedule from the get go if you want to get them sleeping through the night. Kids need structure and balance in order to sleep well each and every night. That is why you should have a time of night that you put your child down. Do not simply wait for the kids to get tired before you put them to bed, have a time and stick to it. This is the best way to get your kids sleeping through the night quickly and easily. Good nighttime rituals can really help you to get the kids to sleep at night. For example, you may want to give the kids a warm and soothing bath at night before bed. This can go along way towards relaxing them enough that they will go to sleep with ease when put to bed. Kids like rituals and these kinds are great. It is also a very good idea for you allow the evening to unfold quietly. Playing games with your kids just before bed is probably not the best way to go. Instead of wearing out your kids playing games is only going to get them riled up. This is not going to help you get them to sleep each night. You need to get the kids calm and relaxed and a quiet evening followed by a nice warm bath is great. If you are trying to get your kids to sleep, especially when they are still babies you need to take into consideration that your baby is not used to real silence. They come from your tummy where things were really loud all of the time. Total silence is scary to many babies. Having a ticking clock or some other steady sound in the room with him or her might be what is missing in their bedtime routine. Try having these kinds of sounds in the room with your kids and watch the difference they can make. In no time your kids may be getting to sleep right away each night. Also, check the temperature. Is it too hot or cold? As adults we know the impact it has on our sleep and can adjust the thermostat, throw on an extra blanket, but for a child, they may not be able to communicate that. It is also important for parents to learn about whether their kids are self soothers or not. The techniques that you choose for your kids will be hugely impacted by this fact. Find out what works for your kids by experimenting. Don’t worry if you do not get everything right the first time, in fact, you might as well get used to it because no one is the perfect parent right off the bat. A number of great tools and products are on the market to help make your home as safe as can be for your new baby. By the time baby is six months old, he will likely to exploring the home is his own way. This gives you just a small amount of time to get anything and everything out of the way so that he can’t hurt himself (or hurt your things) in the process. Today’s baby proofing products are more adult friendly to use, but there are often better choices available than those you may remember using in the past. The best way to find potential problems within your home is to see your home as your child does. Get down on your hands and knees and crawl around. Make a list of all the potential problems you expose your child. At this level, you will see electrical outlets, cords for televisions or lamps, small fringe or other small items on tables that can be picked up, thrown or put in their mouths. Look for corners on tables or other surfaces that are sharp. Look for stairs or places within the home they can get to as they crawl and later stroll around. This may include cabinets, closets and doors. With a list in hand like this, you can start finding the solutions to your problems. Luckily there are many great products on the market that can help you to child proof your home without a lot of worry about expense or the difficulty in using your home as you would like to. Your baby’s safety is the most important consideration but you do not have to compromise the ease of living you currently have. The following are some of the most important tools available to you to both protect your child while still have easy access to your home and things. Safety Latches: Perhaps you have drawers and cabinets that baby can get into. It is important to keep these locked so that your child can’t get into them and access poisonous chemicals and medications. Latches are available that can be attached to these cabinets (with minimal if any damage to the cabinet itself) You will want to buy latches that are durable can handle the pulls that your child is likely to do to them. Still, many of these products are very easy to install and easy to use. Corner Protection: As you crawled around you may have bumped into the corners of tables and chairs along the way. Either remove those with a point from the area or they should have a corner bumper installed on them. These will soften the edge and allow the child to bump into them with little or no effect. Most are widely available for just a few dollars. Choose bumpers that stay snuggly in place. Outlet Covers: One of the most effective ways to prevent baby from being hurt is with outlet covers. A package of 20 or more can cost just a few dollars. These plastic covers are in the sockets throughout your home, keeping fingers out of the outlet. Parents can easily remove them and replace them when the outlet is in use. Safety Gates: Older models of safety gates were hard to put in place and often were cumbersome to deal with. Newer models make getting through them must faster and safer. Protecting baby from stairs and areas of the home that are too dangerous is one of the best ways to child proof your home. These gates are available in a range of sizes and styles to accommodate virtually any home’s design. There are many other things to add to your home to child proof it. You may wish to add locks to doors to rooms where you do not want your toddler to venture. Every home should have carbon monoxide detectors and smoke alarms installed in them. Be sure to secure all items on tables safely or otherwise remove cords that could cause an item to fall on the child. There’s a lot to do but by making a few simple changes to your home you will successfully protect your child from all the problems that usually affect children. Since thousands of children end up in the hospital each year due to injuries or poisonings at their home, don’t overlook the safety in child proofing. When it comes to caring for children with special needs, there are different approaches you will need to take. As a parent or caregiver, you may need to treat the special needs child different from an ordinary child, depending on what their needs are. It can be difficult for many parents, especially when they first find out or when they feel like they are going through this alone. Caring for children with special needs mean facing many obstacles and challenges that can be difficult at times. These children need extra attention that can take up much of your time. There are numerous hours required for medical appointments and hospitals visits and some children even require regular therapy sessions. When you are caring for a child with special needs you not only have to consider the present but you must also think about the future. What will happen to that child if you were to become sick or if you are involved in an accident? As you age you may no longer be physically able to care for them but they may still need assistance. As important as the here and now is, the future must be considered. Part of planning for the future includes taking steps to teach that child as much as they are capable of learning now. You will work with them to help them achieve independence and teach them the basic skills needed to survive but that still may not be enough. It will depend on their disabilities and they may always need someone to be there and help care for them. Take the time now to plan for the future and it will help to relieve some of your worries. These are just a few of many places you may be able to find more info about your child’s special need and what is available to help you. When you are caring for a child with special needs don’t hesitate to use any of the resources designed for children with special needs. It’s a difficult task and no one expects you to go it alone. You should never feel like you have to deal with it all on your own, especially when there are so many people out there who know what you’re going through and so many resources to make it easier. As a parent, the more you learn about special needs and what options are available to you, the better prepared you will be to give your child the help they need and deserve. Don’t hesitate to seek help with the special needs of the one in your care. There are people out there more qualified and more experienced than you in this type of problem and they can help show you the ropes and gives you hints, tips and ideas for how to better care for your child. As a parent or caregiver for a child with special needs you will spend countless hours worrying about your child and doing all that you can to comfort them. Many people spend sleepless nights simply listening and watching over the child so they will be right there in the event they are needed during the night. Parents and caregivers of children with special needs display extraordinary strength and courage when caring for these kids. They focus all of their attention on the child and do all they can to nurture and protect them in every way. In the end, the most important thing is that you give your child the best opportunities available, regardless of what types of special needs they may have. In the end, caring for children with special needs can be one of the most rewarding experiences you ever have. Every day we watch our children grow, and reflect on your most important career choice-the day you became a mom. Like other women, you struggle to balance work, life, home and family, but the good news is there is a solution. First is to forget trying to be a “Super Mom.” These are moms who try to be all things to all people and come up short in the process. Today’s moms have learned to prioritize, focusing not only on our families but on taking care of ourselves. Our lives come in seasons, and we find that when we’re stretched too thin, we’re not effective at anything. Taking time for yourself is a win-win for everybody. As moms, once we have our priorities in line, we can then be more productive in all areas of our lives. For some, this includes, faith, family and then of being of service through volunteer work. We think we can have it all, just not all at once. To find out more about how moms balance their busy lives, Sharpie, a trusted mom tool, surveyed moms and found that 95 percent of mom’s agree that taking time for ourselves makes us a better mother. Still, 44 percent said that spending time with their family is the best stress relief. The survey also identified a new breed of mothers-“Signature Moms.” These are moms who have their own way of parenting and expressing love to their children-whether it’s by volunteering at school, attending extracurricular games and activities or taking a much-deserved mom break. 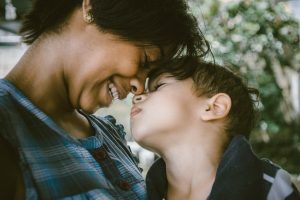 To celebrate today’s Signature Moms and help set priorities, here are some simple things moms can do to keep love at the forefront of their family relationships. 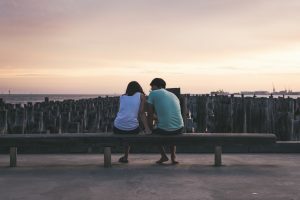 These “10 easy ways to say I love you” have helped me daily, and we hope they will do the same for you. 1. Slip a handmade valentine or a simple note into your child’s lunch box. 2. Take a walk together in the woods or your favorite park. 3. Jot down a line from your favorite poem. Share it with family members. 4. Kiss your kids good night, but also every chance you get. 5. Read a chapter book together. 6. Make it a priority to have family dinnertime together-no matter how busy the schedule. 7. Turn off the TV. Have a pizza night and watch a movie together. 8. Have a picnic in the park after the soccer game, instead of stopping for a fast meal on the way home. 9. Have each family member write down one reason why they appreciate each other. Write your reasons on a tag and use ribbon to attach them to a batch of your favorite cookies. Let every family member find his/her own special cookies. 10. Help your kids write a letter to a family member who lives far away. Write the first few lines of a story and instruct the recipient to write the next, and then return the letter. Your story can continue indefinitely. In a perfect world, children would obey their parents without a second thought. Unfortunately, the world is far from perfect and kids don’t always do as they are told. The good news is that, as a parent, there is light at the end of the tunnel. Read on to learn how to get your child to do what you ask… without begging, bribing, threatening and screaming. Yay! No two children the same. It’s for that reason that you need to be versatile when it comes to getting your children to obey you. Some kids are naturally strong willed, which poses more of a challenge. You may have to impose consequences several times in order for them to follow the rules. If one particular consequence doesn’t seem to be doing the trick, the best thing to do is to try a new one. Don’t reinforce rules that don’t have major significance. For example, in the case of older children, don’t be so strict about things like having them make the bed the first thing in the morning. It’s more important for them to always wear a helmet when skateboarding or riding a bike. When attempting to get your children to follow the rules, regardless of their ages, issue an appropriate time limit. Simply giving them a list of things to do, without a time-frame attached, means that what you’re asking them to do may never get done. It’s extremely important to listen to your children, regardless of how well they do what you ask. If they continue to disobey you, even after multiple attempts of being told what to do, take the time to sit down with them and ask them what the problem is. Getting down to the bottom of the issue will help you both understand the steps you should take to rectify the problem. When you tell your child to do something, mean it. Following through is everything. Children who don’t obey only learn by being presented with a set of age-appropriate consequences. No consequences simply means that they can continue to ignore your requests without any major changes in their daily routine. In addition, make sure your child is paying full attention to what you’re saying. Look him (or her) in the eye to let him know that you mean business. Many parents make the mistake of yelling commands from another room. Typically, when this happens the request is taken much less seriously. If your child isn’t in the same room with you, ask him to come to you or take an extra minute and go to the child. Probably the most important thing to remember is to stand your ground. Never give in, no matter how tense the situation. If you give in once, your kids will remember that the next time they don’t want to obey. They’ll drag things out until you decide to give in again. These are just a few simple things that you can do to get your child to obey you the first time, without the need to threaten or beg. It may take a bit of time to achieve satisfactory results. But, with patience and due diligence, chances are you’ll soon see major improvement. Even the best behaved toddler has an occasional temper tantrum. A tantrum can range from whining and crying to screaming, kicking, hitting, and breath holding. They’re equally common in boys and girls and usually occur from age 1 to age 3. Some children may experience regular tantrums, whereas for other children, tantrums may be rare. Some kids are more prone to throwing a temper tantrum than others. Toddlers are trying to master the world and when they aren’t able to accomplish a task, they often use one of the only tools at their disposal for venting frustration – a tantrum. 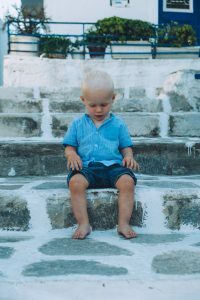 There are several basic causes of tantrums that are familiar to parents everywhere: The child is seeking attention or is tired, hungry, or uncomfortable. In addition, tantrums are often the result of children’s frustration with the world. Frustration is an unavoidable part of kids’ lives as they learn how people, objects, and their own bodies work. Tantrums are common during the second year of life, a time when children are acquiring language. Toddlers generally understand more than they can express. As language skills improve, tantrums tend to decrease. Keep off-limits objects out of sight and out of reach, which will make struggles less likely to develop over them. Distract your child. Take advantage of your little one’s short attention span by offering a replacement for the coveted object or beginning a new activity to replace the frustrating or forbidden one. And choose your battles: consider the request carefully when your child wants something. Is it outrageous? Maybe it isn’t. Accommodate when possible to avoid an outburst. Make sure your child isn’t acting up simply because he or she isn’t getting enough attention. To a child, negative attention (a parent’s response to a tantrum) is better than no attention at all. Try to establish a habit of catching your child being good (“time in”), which means rewarding your little one with attention and praise for positive behavior. This will teach them that acting appropriately makes mommy and daddy happy and proud, and they’ll be anxious to do it again and again.